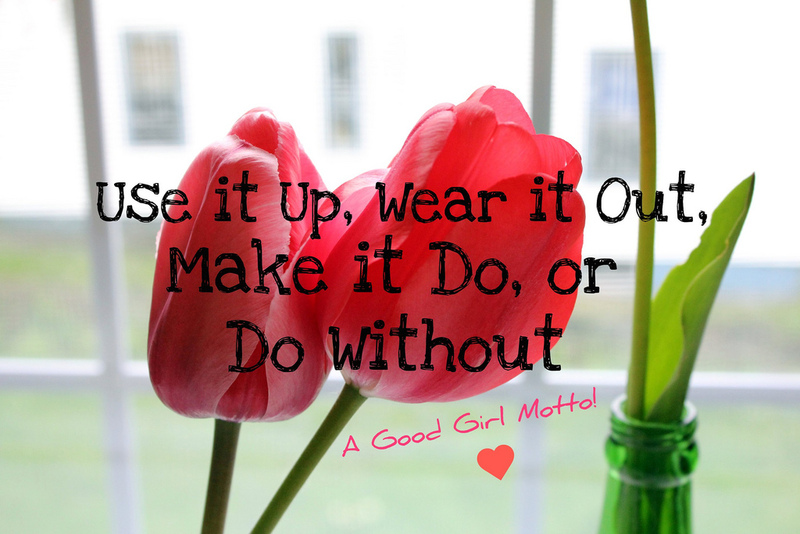 The challenge for Week 2 of Frugal February is to "Wear it Out!" 2.) Actually wearing things out, and not getting a new one until it is completely worn out. As far as Preventative Care goes, it really does save you money to take the time to properly care for your possessions. Above, I'm shining up my leather boots. 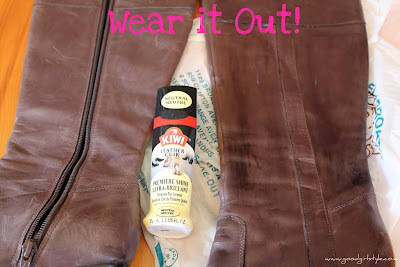 This not only restores shine, but it erases scratches and makes my boots look brand new. Even better? These bottles sell for $3.49 and up at the drugstore, and I picked mine up at the Dollar Store! (Those boots are so almost dead again. Wearing them OUT!). Cobblers have helped me add extra holes to belts, repair heels, fix broken purses, and add new tread. ~I'm all about the "band-aid" solution sometimes, to get extra wear out of something. Weigh the costs of spending a little now vs. how long that 'little' will make it last vs. the costs of a new item. ~Find a good handyman, or better yet, become one! ~Take care of your CAR! Oil changes, oil filters, clean windshields, secure gas caps, clean undercarriages--all of these small details will help your car wear much better in the long haul, and will save you expensive repairs. ~Pills on your sweater? Don't despair! Grab a sweater stone or shaver. ~Spend some money on your "investment" pieces for your wardrobe. 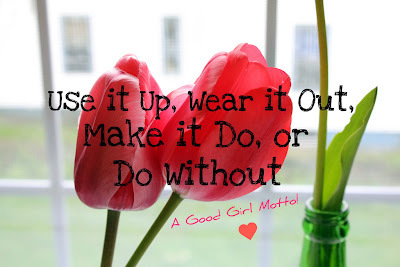 They will wear much better and last much longer...spend your money where you spend your day. If you work all week, invest in quality work clothes such as a gorgeous pencil skirt, suit, and silk blouses (see my magazine article for detailed ideas!). If you are home with the kids, then invest in quality jeans and beautiful (washable!) sweaters.